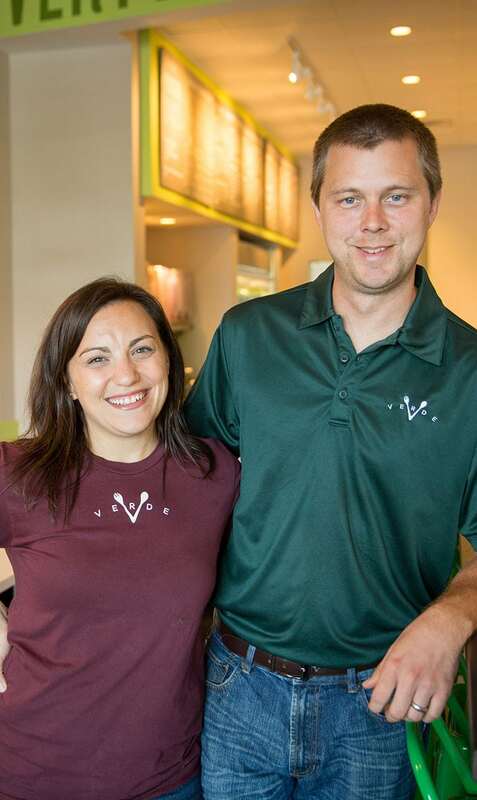 Jennifer and her husband Sam observed the Charleston area's need for a healthy, quick-service dining establishment and began to dream up their plans for what is now “Verde;” a place where wholesome food and fast food weren't mutually exclusive. On October 23rd, 2011 they opened the doors of Verde and haven't looked back since. They have opened locations throughout the Carolinas in Charleston, Mount Pleasant, West Ashley, and most recently Charlotte. Jennifer and Sam are proud to be part of the communities they service and work to serve food, people, and each neighborhood in a way that’s good for all. They reside in downtown Charleston with their daughter Millie, dog Shadow Ann, and can be found daily slinging greens in any of their stores.